Hi Geeklings! Everyone have a good long weekend? Couple of interesting things over from Warner Bros and DC to report this week. Looks like Supergirl is getting her own movie. After the success of Wonder Woman and of the small-screen Supergirl series, it seems Warner Bros is willing to take another chance on the teen superheroine and bring her back to movie theaters (an attempt was made in 1984, but the less said about that the better). For anyone unfamiliar, Supergirl is Superman’s younger cousin and a hero in her own right. She has the same powers as her cousin and is known as the Girl of Steel. Details are super scarce at the moment for a film version, but regardless it’s still exciting news! While DC’s big feature films are hit and miss, it’s television universe is thriving and growing. 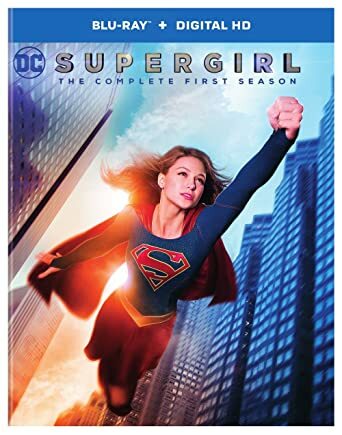 The Supergirl TV series is part of the Arrowverse, a collection of series that began with Arrow and are all interconnected and have frequent crossovers. It was recently announced at San Diego Comic Con that Batwoman will join the Arrowverse, possibly with her own show. And she’s also been cast. Exciting times! 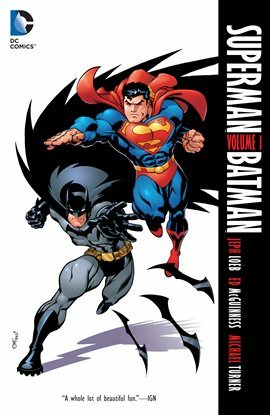 Superman/Batman Vol. 1 by Jeph Loeb – I LOVE this series, it actually got me back into reading comics in my 20s. This volume collects the first two storylines, and the 2nd one reintroduces Supergirl after she hadn’t been in the comics in years. Superman, Batman and Wonder Woman are all here, as well as Big Barda and villain Darkseid. Everyone is shocked when Batman discovers the pod carrying Kara Zor-El in Gotham harbor, and now everyone, including Kara, has to decide what must be done, especially when someone as powerful as Darkseid catches wind of her arrival. The events of that story were also made into an animated movie (I personally preferred the comic, but give both a try). Supergirl: Being Super by Mariko Tamaki – This four-issue stand-alone series took a more YA approach to Supergirl, her origin and her day to day struggles. Kara Danvers has superpowers and crash landed to earth in a ship, but she’s fine to put all of that aside as she tries to deal with the pressures of high school and hang out with her friends and adoptive parents. As Kara gears up for her 16th birthday an earthquake in her small town unearths some dark secrets, some misplaced trust and kicks her superpowers into overdrive. Will she figure everything out or will this be her undoing? You’ll have to read to find out. Supergirl: Age of Atlantis by Jo Whittemore – If you’re digging the TV series and want more, there’s a book series tie in! In this volume Kara has noticed that a lot of superpowered people are turning up in National City, but if that weren’t enough the Department of Extranormal Operations has caught a sea creature… a humanoid one. So Kara now has 2 mysteries to sort out; all the superpowers showing up and what drew this individual from the sea to the city. There’s also a collection of digital comics that tie into the series as well. You can find the rest of the Arrowverse shows from our collection in this handy list. 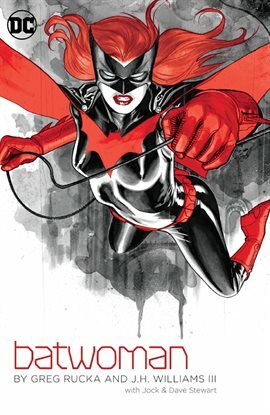 Batwoman by Greg Rucka – This first volume introduces us to the New 52 version of Kate Kane, showing her backstory and her current work as Batwoman. Former military, kicked out for being gay, Kate decides to take inspiration from Batman and begin fighting crime herself. But a new threat comes to Gotham; the Religion of Crime and it’s riddle and storybook loving leader, known only as Alice. But Alice may have secrets… secrets that tie to Kate and to her family. It’s a riveting tale and a great introduction to this thoroughly modern hero. What do we think Geeklings? Excited? Meh? Keep giving us Marvel? Post away in the comments or on WriteIt. Have a great week, try to stay dry, keep your eyes peeled for Fan Con news, and until next time, End of Line. Marvel’s Cinematic Universe didn’t have any panels or announcements this year (probably because they’re avoiding spoilers for the last Infinity War film) so that gave DC and Warner Bros a chance to shine. We got our first trailer for this December’s Aquaman. We first met the Atlantean royalty in previous films like Batman v Superman and Justice League but now he headlines his own film, and it’s looking pretty epic. DC also unveiled a trailer for this April’s SHAZAM!. If you guys aren’t familiar, Shazam is a long-running DC superhero (he used to be called Captain Marvel until Marvel Comics put a stop to that). His alter ego is Billy Batson, a kid who becomes an adult superhero when he shouts SHAZAM, the name of a wizard who imparts his powers to him and an acronym for Solomon, Hercules, Atlas, Zeus, Achilles and Mercury, all Greek gods and heroes (comics are weird but wonderful, aren’t they?). This looks like a lot of fun, which is something the DCEU has not been known for lately. Aquaman looks like it’s going for a more playful tone too, so hopefully that will continue. These movies are supposed to be fun after all. To get caught up check out the previous DCEU films. 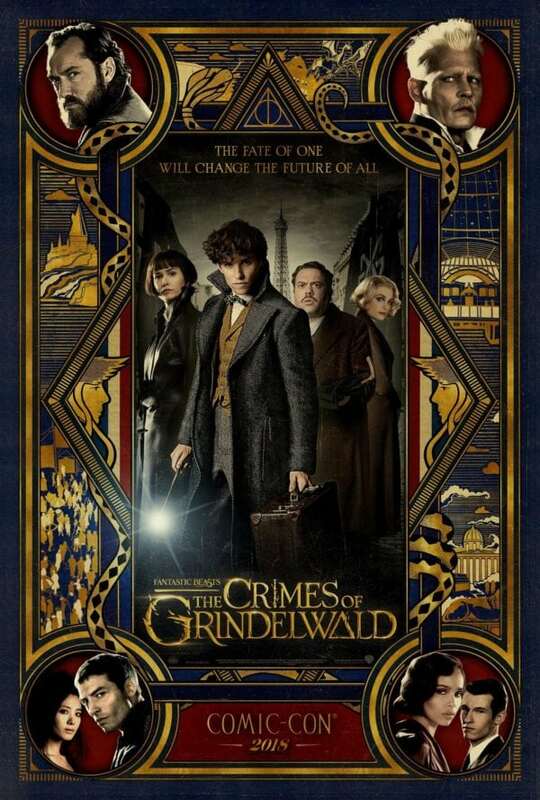 Warner Bros also released our latest look at the Wizarding World with a new trailer for Fantastic Beasts: The Crimes of Grindelwald. And we’ve got some monster movie fun for you with Godzilla: King of the Monsters. If you’ve been watching Stranger Things you might recognize the star. The new Doctor is getting ready to make her debut and this new series looks delightful. Star Wars: The Clone Wars is coming back! This was a big surprise at the Con this year. Fans of the original series had hoped there’d be more episodes, as the show hadn’t really ended the way it was intended too, but there was no real indication that was happening… until the 10 year anniversary panel and this trailer was screened. Fans are over the moon! Plus we have the new show Star Wars: Resistance coming soon as well. Good times for Star Wars animated series. Netflix and Dreamworks’ Voltron: Legendary Defender screened a trailer for it’s 7th season and announced that there’ll be some representation in their series by introducing Shiro’s boyfriend Adam. And we got another look at Netflix’s new Matt Groening series Disenchantment (I’ve already hyped this one up pretty hard, take a look). 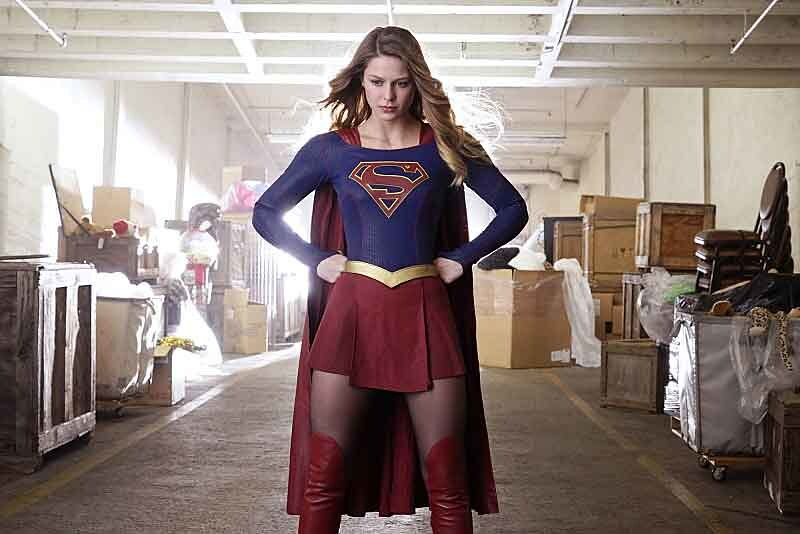 Supergirl announced that it has cast the first transgender superhero on network television. Nicole Maines, a transgender activist and actor, will play Nia Nal, a re-imagined version of Dream Girl, in the shows fourth season. Awesome! And Star Wars books. So many Star Wars books! E.K. Johnston will be returning to the galaxy far far away to pen a stand-alone novel for Padme Amidala, the queen/senator/mother of Luke and Leia that we first met in The Phantom Menace. Queen’s Shadow tells of how Padme transitions from queen to senator and how she and her loyal handmaidens must navigate the metaphorical treacherous waters of the Galactic Senate. There’ll also be a novel by Claudia Gray about Qui-Gon Jinn and Obi-Wan Kenobi and there will also be a horror comic series called Tales from Vader’s Castle. LOVE IT! Read the full list of announced books here. So that’s all for now. Anything I missed? Post away in the comments section. Keep your eyes peeled for more news about our own Fan Con, coming Sept 29, and until next time, End of Line. Week of Geek: The DCEU fumbles again, What heck? Well Geeklings, it has arrived. 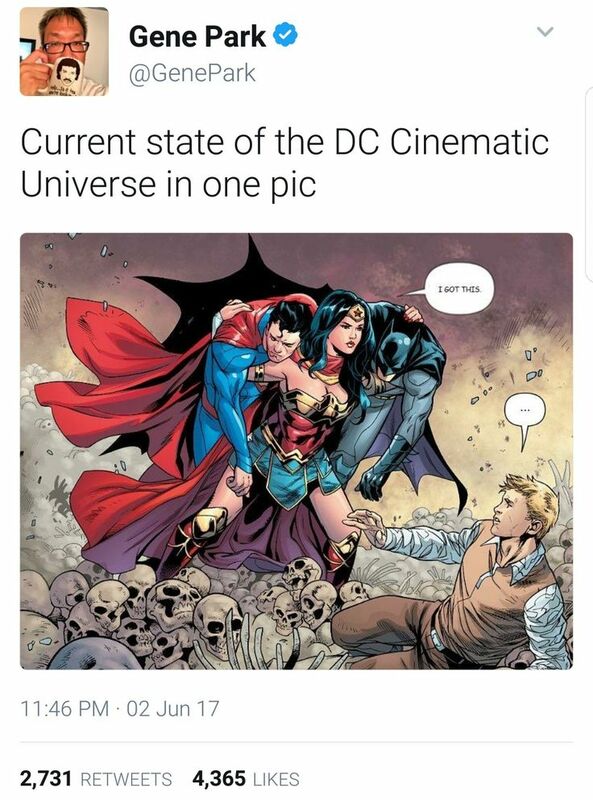 The Justice League movie. Full disclosure; I haven’t seen it yet. But I and the rest of the world do know two things about it. Critics aren’t crazy about it. And it underperformed at the Box Office it’s opening weekend. This was supposed to be it! The culmination of… FOUR movies! So what’s going on? This is the fifth movie in this series thus far, and out of the five of them only one has actually performed well with critics, fans and with ticket sales. This was really rushed: Four movies may seem like a lot, but only three of them really had anything to do with Justice League (Suicide Squad was more of a standalone). DC’s decision to go the opposite route that Marvel did (with five movies all tying in to the lead up of The Avengers) while developing a Cinematic Universe means that we now have a Justice League film where we only really know half the members. Where’s the investment? 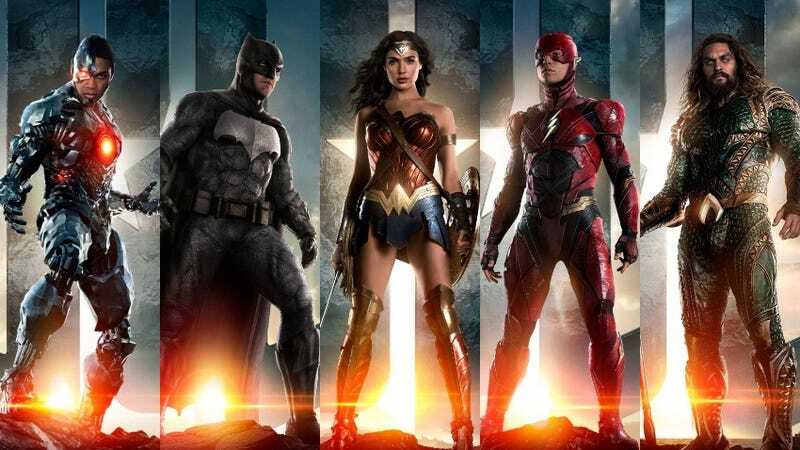 Over saturation: Justice League only followed Thor: Ragnarok by two weeks. Someone like me is happy to have several super hero films at once but the average movie goer may not be thrilled. Backstage shenanigans: Though some fans may disagree with me, I’ve never been thrilled that Warner Bros decided to put Zack Snyder in charge of this operation. I’m not crazy about the decisions he’s made thus far, or about how dark and dreary he seems to be insisting on making this universe. And the only time the franchise has had any real success was when they put someone else in charge. Snyder had to back out of finishing Justice League for very legitimate reasons, and WB brought in Joss Whedon to finish the movie. I love Whedon, but it’s never easy to take someone else’s work and try to finish it, and there were A LOT of reshoots. Often what this all leads to is two very different visions competing against each other and a very unbalanced final product. Fans are just getting sick of all of this: From the backstage drama to the bad reviews to the constant disappointment and divisive decisions DC and Warner Bros are making, some fans have likely had enough of the whole thing. I think I’m starting to get to that point myself. This isn’t working! And it makes it all the more painful to know that it can work. Wonder Woman proved it! Having said all that, I will probably go and see Justice League. One thing a lot of critics have been saying is that even though it’s not a perfect film it is fun. Sometimes that’s all I want from a superhero film, and that sense of fun was sorely lacking in Man of Steel and especially Batman v Superman. Suicide Squad tried to be fun, but only as a last minute add on. And though Wonder Woman had the emotional depth the story needed it definitely had it’s fun moments. That’s part of what made it such a great film; it could do both. What do you think Geeklings? Will you go see Justice League? Give it a pass? Either way, how come? Post in the comments or for more extensive thoughts head to the WriteIt site and pour your hearts out. Have a great week Geeklings, and until next time, End of Line.